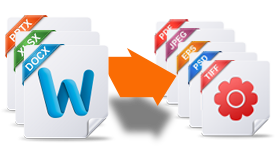 Print documents to PDF and image formats. Adjust page layouts with a graphical interface. Convert any printable document with virtual printer. 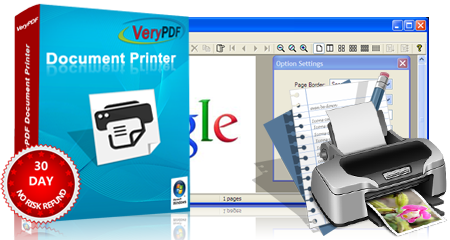 Document Printer provides two virtual printers on Windows computer. The two printers have two default names, "docPrint PDF Driver" and "docPrint". A user can print printable documents to "docPrint PDF Driver" to convert them to PDF, PS, EPS, JPEG, TIFF, BMP, PCX, and PNG. With printer "docPrint", users can convert any printable document to more than 50 formats. The printer "docPrint" will lead the user to a Graphical User Interface (GUI) which can manipulate printing settings for saving printer ink, toner, and paper. Document Printer also provides a Software Development Kit for software developers. With Document Printer SDK, developers can build their applications and implement the functions of Document Printer. It offers a virtual printer named "docPrint PDF Driver" that supports any printable document. You can print documents of Microsoft Office Word, PowerPoint, Excel and other printable files to the virtual printer and convert them to PDF, PS, EPS, JPEG, TIFF, BMP, PCX, and PNG. With printing documents to the other virtual printer "docPrint", you will get a GUI that can adjust the page layouts and printing settings before converting the document to the target format. Additionally, this virtual printer supports more than fifty target formats. In the GUI activated by virtual printer "docPrint", you can add stamp (image), text note, lines (pencil line, beeline, rectangle and ellipse) to the pages, and change transparency degree of annotation. You can even draw any shapes to annotate the pages. Install two virtual printers for converting and creating documents. Print any printable documents from Windows applications with printing function. Support resolution of 72, 75, 96, 100, 120, 150, 200, 300, 600, and 1200 DPI. Multiple page on single sheet for saving paper – Print one, two, four, eight, or 16 pages on a single paper sheet. Option to customize watermark, header and footer on pages of converted files. Scale pages to different paper sizes, such as A4, B5, Letter, etc. Preview GUI for manually manipulating pages before printing. Able to rearrange page orders and remove pages with preview GUI. Option to copy printed file to the clipboard in bitmap format. Save ink and toner by reducing ink density or printing quality. Create multipage images in GIF, TIFF, DCX, MNG, PDF and PS. Set page margins of converted files. Rotate pages 90, 180 and 270 degrees of created files. Combine multiple document printing jobs as a single printing job. 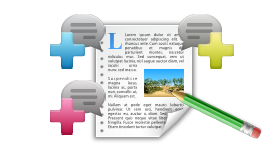 o	Add stamp (image), text note, lines (pencil line, beeline, rectangle and ellipse) to printed pages. o	Change transparency degree of annotation. o	Move, copy, delete and paste any comment. o	Add annotations to tamps, notes and drawings. o	Set comment color and filled color. o	Add arrows to beelines. o	Set levels of overlapped comments. o	Lock and unlock comments. Note: Document Printer (docPrint) requires appropriate applications installed in your system to send associated files to its printers. For example, Microsoft Office or other office suite software is required for converting Word, Excel, and PowerPoint documents; Adobe Reader or other PDF reader is required for converting PDF files; Windows Internet Explorer or other web browser is required for converting HTML pages; and so on. Codes and APIs for full control of Document Printer. Embeddable and redistributable in developer's software. 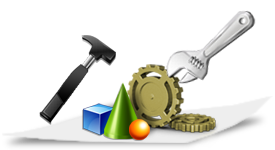 VC++, Visual Basic, Delphi, C+, PHP and ASP examples for developers.